We are an owner-operated business specialising in Building Inspections, House Inspection, Pest Inspections and Post Purchase Inspections in Melbourne – and all Premises Examinations throughout Melbourne, Mornington and Bellarine Peninsula regions of Victoria. In his former career as a carpenter, Nick has repaired the problems that can easily go unnoticed by home buyers. This has given him a sharp eye for any potential problems as a property and building inspectors. 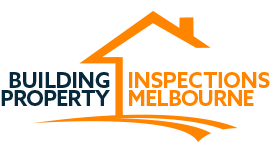 At Building Property Inspections Melbourne, we are committed to providing high-quality house and building and property inspections through our dedicated independent building inspectors whilst outstanding customer service. We are committed to providing high-quality building and pest inspections in Melbourne. As a company Building Property Inspections Melbourne have a sharp eye for detail and provide outstanding customer service. Before you commit contact Building Property Inspections Melbourne to inspect the home you are looking to buy. We will conduct a thorough internal and external building inspection of the building focusing on major and minor structural defects. All of our building inspections in Melbourne are carried out in accordance with Australian Building Standards AS4349.1. What do our building inspections cover? What Should I Pay For A Building Inspection in Melbourne? A professional building inspection is a must if you want to avoid encountering issues down the road which will interfere with your financial success and even add to your home loan. Many factors are taken into account when it comes to an expert house inspections, property inspection, for example, the size of the dwelling, the location and the type of construction. We recommend being wary of termite inspection services that are too cheap – building inspection is not something you want to cut corners on. Some of the most expensive repairs are those that are hardest to spot, such as pests, inadequate wiring, poor roofing, damaged plumbing, guttering and downpipes and require a thorough inspection of the entire property to identify. A comprehensive property inspection report should be part and parcel of intelligent buying, so ensure you get the right advice for both your mortgage and for your property. Our building and property inspections are fully insured and guaranteed to the highest standards under AS4349.1:2007 (Pre-Purchase) and AS4349.3:2007 (Pest).